RE Sources for Sustainable Communities: Teaching Hamsters How to Feed Themselves! Learn how to make your world more sustainable from the ground up through our series of garden-based classes and workshops. The six-part series will cover a variety of sustainable gardening techniques and put those skills to practice with hands-on workshops in RE Sources’ on-site community garden. Learn about permaculture design, crop rotation, rain water systems, composting methods, forest garden planning, native foraging, and so much more! Classes begin THIS SATURDAY, so register today by calling 360.733.8307 or emailing HannahC@re-sources.org. Registration scholarships are available! Here's your chance to learn how to feed your household on your know-how and toil, you homesteader you. If you'd like to donate starts or materials to help the RE Patch get rolling, check out our wish list here or call Hannah at 360.733.8307. Keep in mind, we spoil all our donors! An introductory course outlining the principles of permaculture and the big picture concepts that inform the design process. Will also include the history, examples of what is happening in the Northwest and beyond, and how you may begin to incorporate permaculture into your own life. Learn how to use permaculture methods to assess a site, develop a plan, and techniques to make your plan a reality. Students will work in small groups to problem solve and walk through the design process for RE Sources’ community garden or their own site. Learn how to start vegetables from seeds in your own home, while developing a plan that suits your garden and kitchen needs. Basic Northwest timing and techniques will be covered to aid in healthy plant succession and winter garden potential. In this hands-on workshop you will learn techniques for transforming your lawn into a food producing and ecologically friendly landscape. Topics and skills covered will include sheet mulching, building raised beds, and planting strategies. 5. Compost and Soil Health Thursday, April 14th - 6:30pm – 8:30pm ($20) Healthy soil is the key to healthy food. Learn about soil, how to nurture it and transform your food and yard waste into rich compost through a variety of techniques. Topics will include soil, organic matter management, organic amendments, composting styles, worm bins, and where to source materials locally. Forest gardening strives to mimic the structure and function of natural ecosystems. In this hands-on workshop, learn how to work with nature to produce food, medicine, habitat, and other useful products. Cascadia Mushrooms will also be showing us the process and joy of mycology in your garden! Enroll in individual classes, or save big when you enroll in the six-week series for just $150! Enrollment fee assistance is available. Email HannahC@re-sources.org or call 733.8307 to register. Class space is limited, so don’t wait. 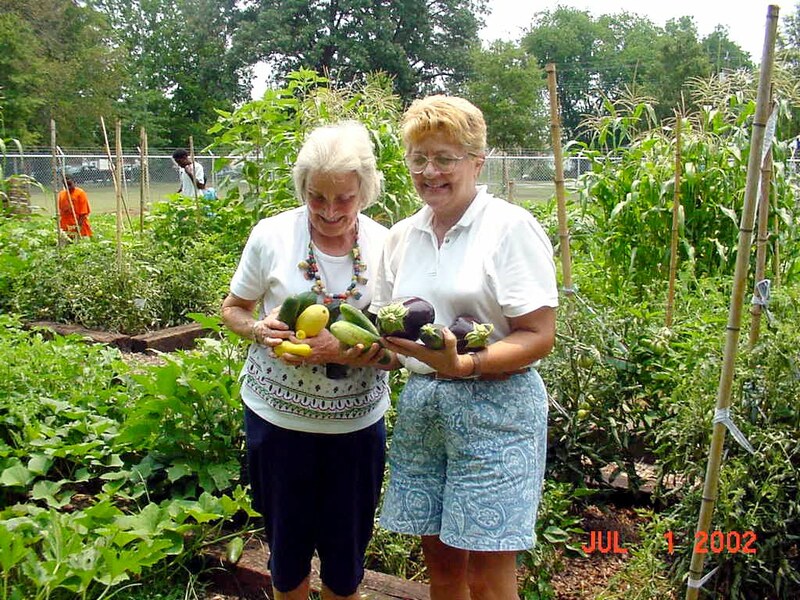 For more information on how you can become involved in our RE Patch Community Garden, please visit our Community Garden page. Classes and workshops will be taught by Homestead Habitats and the Bellingham Urban Garden Syndicate (BUGS). Homestead Habitats is a Bellingham-based holistic landscaping contracting group. Their vision is to improve local food security and community self-sufficiency through transforming homes and properties into healthy modern homesteads. Bellingham Urban Garden Syndicate (BUGS) is a support coalition of urban agriculturalists in the greater Bellingham area focused on promoting, sustaining, and advocating for urban agriculture in Bellingham through education, garden support, community action, and making local healthy food accessible.